While your back was turned, technology caught up with you. Everything today works. Tires don’t go flat. Cars start on cold mornings. Television sets don’t need repaired. Computers work the same whether they are from IBM, Dell, Gateway or Compaq. Most of our products seem to be made in China, Japan, Taiwan, Korea or Malaysia. They work great. What all of this means is that your competitor’s products work just as well as yours do. If you add a new valuable feature, within six months all of your competitors will add that same feature. We can no longer say that our products are better because they aren’t, and our customers know that. We don’t want to say that they are cheaper, because this is self-defeating. We don’t all want to be the cheapest guys in town. What differentiates the successful suppliers from the less successful today is the method of delivery. Winners have technical service and customer service that provide recognition, relationship and rewards. Surveys of defecting customers in industry after industry show that most people leave not because of price or product problems but because they don’t like the way they are treated. If you want them to stay, recruit the right kind of customers in the right way and treat them very well. Treat them so well that they can’t afford to leave. Customer retention programs are important for several reasons. Long-term loyal customers buy more often, spend more money, buy higher priced products, provide more referrals, are less expensive to serve, have higher retention rates and have higher lifetime values. Acquire the right kind of customers to begin with. That means acquire people because they appreciate your products and services, not because they are looking for the lowest price. Pay sales commissions that are heavily skewed toward renewal, repurchase and retention, rather than solely rewarding acquisition. 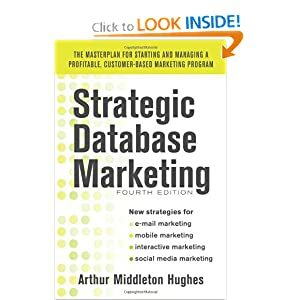 Build a customer database with purchase history. Use the database to determine the profitability and lifetime value of every customer. Divide your customers into five segments (quintiles) based on lifetime value. You will find that the top segment – your gold customers – give you 80 percent (or some other large percentage) of your revenue and profit. Every company that has carried out this segmentation has found the same thing. Develop a strategy for your lowest quintile. These people are not only not profitable, they are costing you money. You must either shed these customers or reprice their services so that they become profitable. In many cases, you can increase your bottom line more by restructuring the losers than by working with any other segment. Concentrate your marketing dollars on the second and third quintile – those just below gold. The gold customers may be maxed out. They may be giving you their entire share of wallet in your category. The lower quintiles are usually the ones where the marketing dollars produce the biggest bang for the buck. Since your gold customers are your most valuable ones, work very hard to think up and deliver special services that are only available to them. Make them feel special. Make it expensive for them to switch: expensive because they would lose all the special services. But what special services should you lavish on your gold customers to keep them loyal? Everyone has to think up his own solutions. Here are some that are working in a number of industries. To work, the service has to have a higher perceived value to the customers than it costs you to create it. Create a President’s Club or an Advisory Board for your top customers. Print stationery with the names, titles and companies of your board members. Hold an annual meeting of these top customers. Let them know they are special and you will have them for life. Have a contest for the most innovative use of your product or service. Open it to all your customers. Create an outstanding industry panel of judges. Award the prize at the industry trade show. Issue handsome award plaques that your customers can display in their reception areas. Add caller ID to your customer service line, giving your agents electronic access to your marketing database. When your customers call, the caller ID will put the customer’s entire record on the screen so that the agents can say, “Mr. Williams. So glad to hear from you. How is the new Model 38 working out?” This type of recognition builds loyalty. Assign a personal banker to each valuable customer. If you are not a bank, make it a personal account manager. Have your letters signed by this person. Give the person a personal phone number. Personalize your relationship. Create an extranet with a special password on your Web page. Create a special page for each of your best customers. Using cookies, route your preferred customers automatically to their page, which welcomes them by name and includes the products and special prices that apply only to them. Put the name of their account manager on the page. If they are on an advisory board or if they won an award, put that on the page. Use the extranet to provide access. Let your best customers roam through your warehouse or your technical manuals using their preferred password access. Make them part of the “inside” team. Let them discover for themselves that the part they are looking for is in your warehouse in San Jose and that they can have it shipped automatically by filling out a Web response form on their private Web page. Let your customers’ technical staff advise you on product design. Through the extranet, encourage engineers and programmers to preview your new product designs, making suggestions. Before the Internet, this was difficult and expensive. With Web access, it is easy and cheap. The customer’s technical staff can fill out a Web response form making suggestions to your design team. Collect e-mail addresses. Send e-mails to notify customers of the status of things. “Chuck: Your spare parts were shipped by Federal Express this afternoon. They should arrive tomorrow. Airbill number 8128 3505 7994. Call me if there is any problem. Carol”. How much do these things cost to do? Not much. How important will they be in building customer loyalty and the bottom line? The results could be very profitable.